Top Gear USA's Adam Carolla on the Auto Bailout: "When you take a look at many American cars today, these aren't bad products. They're just not as good as Audi, Volkswagen, Mercedes or Lexus—the list goes on and on. When you see some of the stuff that Pontiac in particular has been doing for the last 20 years—it's insulting. And the interiors especially are insulting. I gotta say, every time I see one of those Pontiacs, I just want to throw up in my mouth." 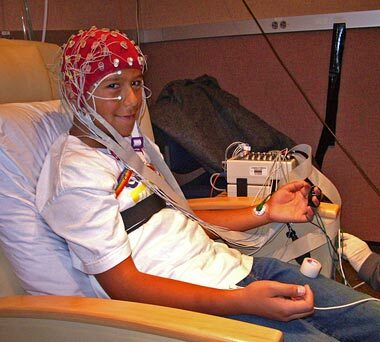 Rich Kids Have Brains that Work Differently from Poor Kids "University of California, Berkeley, researchers have shown for the first time that the brains of low-income children function differently from the brains of high-income kids. In a study recently accepted for publication by the Journal of Cognitive Neuroscience, scientists at UC Berkeley's Helen Wills Neuroscience Institute and the School of Public Health report that normal 9- and 10-year-olds differing only in socioeconomic status have detectable differences in the response of their prefrontal cortex, the part of the brain that is critical for problem solving and creativity." Beefamato: "A northeastern favorite, Beefamato has been a prized ingredient in the best cocktails for many years. A tomato cocktail from concentrate, Beefamato is made from pure beef broth with a touch of worchester sauce for that extra tang. Great to have on hand for parties, sauces." 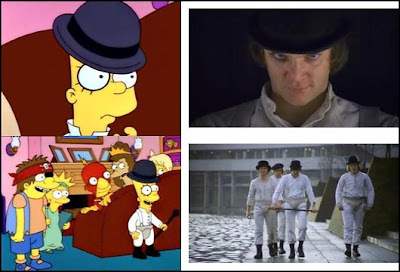 20 Movie scenes That The Simpsons Used stills from various episodes of The Simpsons, each one beside the still from the movie scene to which they refer." Teen Self-Esteem May Be Too High: "Some think the pendulum may have swung too far. Researchers compared responses from teens in 1975 and 2006, asking questions about their qualities and abilities. The study, published last month, found that today's kids consider themselves to be far more intelligent and capable than their 1970s counterparts, and more likely to report being 'completely satisfied' with themselves." Manny Pacquiao's trainer challenges taping of Oscar De La Hoya's hands: "A dispute over how Oscar De La Hoya wraps his hands for a fight grew contentious Friday before the Nevada State Athletic Commission said his taping method can effectively remain status quo. De La Hoya's tape man, Joe Chavez, uses two-inch-wide brown medical tape around his fighter's hands and then rolls up the tape between the fingers to help cushion what the De La Hoya camp describes as sensitive hands." Vermont ranked as healthiest state in U.S. : "The United Health Foundation has named Vermont the nation's healthiest state as part of its annual 'America's Health Rankings,' though it noted overall health in the country had failed to improve. This marks the second straight year Vermont has achieved the ranking. 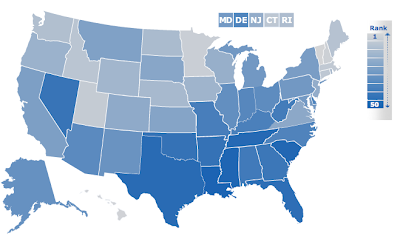 Louisiana was ranked the least healthy state." 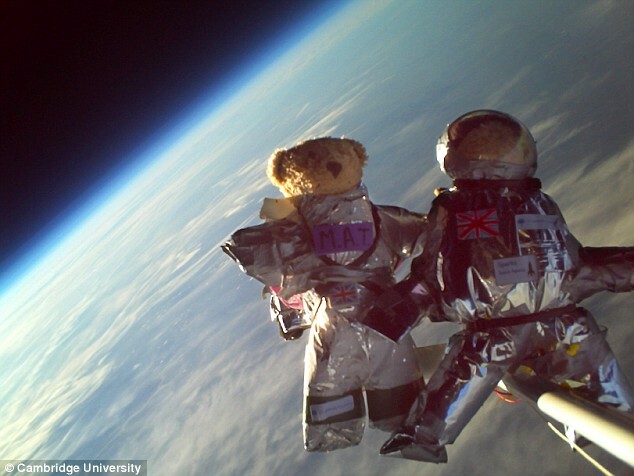 British teddy bears strapped to helium weather balloon reach the edge of space : "It's not often that Britain can claim a win in the space race. But these teddy bears drifting nearly 20 miles above Earth have become the first soft toys to take part in extra-vehicular activity (to use correct NASA jargon) at such an altitude. The soft toys MAT and KMS were named after the first initials of the pupils who helped make their space suits. Along with their two intrepid colleagues, they were strapped to a beam attached to a foam-padded box containing instrumentation and cameras on Monday." Old People Feel 13 Years Younger Than They Are: "Older people tend to feel about 13 years younger than their chronological age, a new study finds. The seniors in the study, all 70 and over, also thought they looked about 10 years younger than their numerical age, with women perceiving their appearances to be closer to their actual age than men. 'People generally felt quite a bit younger than they actually were, and they also showed relatively high levels of satisfaction with aging over the time period studied,' said researcher Jacqui Smith, a psychologist at the University of Michigan Institute for Social Research. The results, which will be published in a forthcoming issue of the Journals of Gerontology: Psychological Science, have implications beyond the psychological. Past research has shown that feeling youthful is linked with better health and longer life, the researchers say." The 25 Most Shocking Moments in Movie History: "We watch movies for plenty of reasons: to laugh, to cry, to learn new things. But often what we want most is a mind-blowing jolt to the system — whether it be a revealing line of dialogue, an horrific act of violence or simply a star playing against type. Click on a title below to find the best shocks cinema has to offer. But before proceeding, please note that there are many spoilers, and of course check with a doctor to make sure your heart can take it." Guitarist Satriani sues Coldplay: "Grammy nominees Coldplay have been sued by rock guitarist Joe Satriani, who claims the band's song Viva La Vida uses one of his riffs. In court papers filed in Los Angeles on Thursday, he said the song used 'substantial original portions' of his 2004 instrumental If I Could Fly." 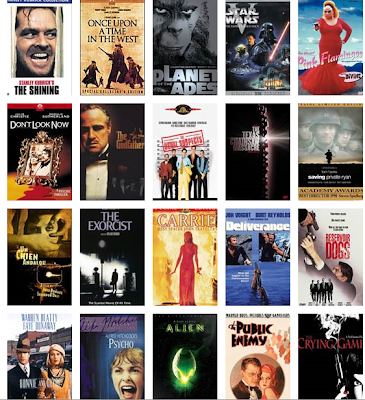 101 of the Best Movie One Liners Ever "We all know some of the famous on-liners from the movies, but some of them are so commonplace that you may not even know that it’s a quote from a movie or from which movie it originated. But there are some quotes from movies that everyone should know. Some of them have really stood the test of time and are very old. Ironically, these are sometimes the ones that we know the best. Here’s a list of one-liners that everyone should know and also which movie it came from and who in the movie said it. I’ve started with the earlier movies and have continued to go in chronological order"
The 10 Best Books of 2008 - NYTimes.com: "The editors of the Book Review have selected these titles from the list of 100 Notable Books of 2008." The 51st Grammy nominations have been announced. Here's the full list. 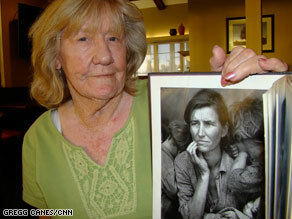 Girl from iconic Great Depression photo: "The photograph became an icon of the Great Depression: a migrant mother with her children burying their faces in her shoulder. Katherine McIntosh was 4 years old when the photo was snapped. She said it brought shame -- and determination -- to her family." New Insight and Prius: Separated at birth? : "How in the hell does Honda expect people to choose the Insight over the Prius if they can’t tell the difference between the things? Honestly, it looks like the grille and headlights are the only difference between these two eco-cars. Not only that, but they’re similarly spec’ed and get identical mileage." Cry Me A River: The 20 Most Heartbreaking Songs Of All Time: "For the last month Rock's Backpages has offered up a slew of sobworthy classics from all walks of pop. Country, soul, AOR, dance: you name the genre, we've scoured it for heartbreak greats. So get yer handkerchiefs ready... here's our tearjerking Top 20 , from the Everly Brothers to George Jones via Lorraine Ellison and Little Feat. --Barney Hoskyns, Rock's Backpages"
The Story Behind Hollywood Studio Logos: "You see these opening logos every time you go to the movies, but have you ever wondered who is the boy on the moon in the DreamWorks logo? Or which mountain inspired the Paramount logo? Or who was the Columbia Torch Lady? 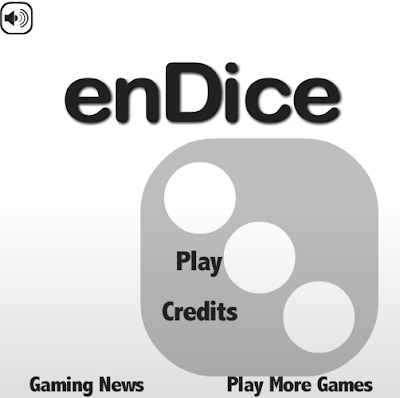 Let's find out:"
enDice Every puzzle consists of several Dice. Each Dice has a number on it representing how many moves it can make. Move each Dice to the Outlined Zones with no moves remaining. While some Dice can just be moved into the Zones, others will require more strategy. "Despite it's name, BML, short for Big Money List, is not an affiliate marketing blog. 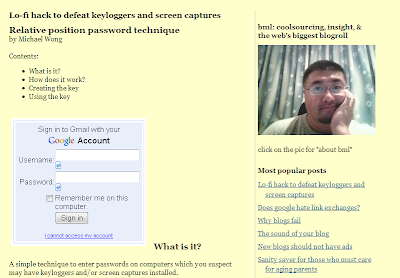 BML is not a splog (spamming blog) either. What's more, BML is not a personal blog. Which begs the question, just what exactly is BML? Answering this question, requires telling a story..."
Long story short, within 4 short months, this blog went from Google Pagerank 0 to Pagerank 5, thereby defying everything the experts said. As of today, November 16, 2008: close to 1000 blogs link here. The lesson to be learned here? Trust yourself, you know yourself best. Geek Hotels Pass the Nerd Test: "Whether your fantasy hotel is a Star Wars-style cave dwelling or a Hobbit hole in New Zealand, specialty accommodations around the world will fulfill your nerdy needs. These and other specialty accommodations make Wired.com's list of top geek hotels." Man says God ordered him to ram vehicle at 100 mph: "
The truck rear-ended the car on U.S. Highway 281, both vehicles spun across a median then came to a stop along a barrier in the opposite lanes. Both drivers suffered only minor injuries. The pickup driver did not tell police how the woman was driving. Police could not find alcohol or drugs in either driver. A psychiatric evaluation has been ordered for a man." Slumdog Millionaire: "Jamal Malik, a penniless eighteen year-old orphan from the slums of Mumbai, is one question away from winning a staggering 20 million rupees on India’s “Who Wants To Be A Millionaire?” But when the show breaks for the night, suddenly, he is arrested on suspicion of cheating. After all, how could an uneducated street kid possibly know so much? Determined to get to the bottom of Jamal’s story, the jaded Police Inspector spends the night probing Jamal’s incredible past, from his riveting tales of the slums where he and his brother Salim survived by their wits to his hair-raising encounters with local gangs to his heartbreak over Latika, the unforgettable girl he loved and lost. 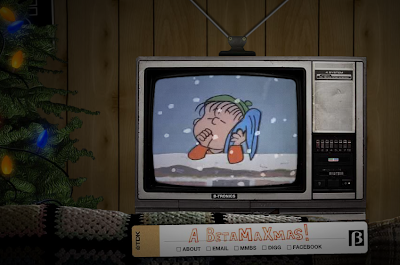 Each chapter of Jamal’s increasingly layered story reveals where he learned the answers to the show’s seemingly impossible quizzes. But one question remains a mystery: what is this young man with no apparent desire for riches really doing on the game show? When the new day dawns and Jamal returns to answer the final question, the Inspector and sixty million viewers are about to find out…"
Steelers knocked from No. 1 ranking in brand loyalty: "The Green Bay Packers have a losing record this season -- 5-7 -- but the team is No. 1 when it comes to a powerful marketing brand. The franchise was named the strongest team brand in its local market compared with professional sports teams across the country in the 2008 Turnkey Team Brand Index, a consumer survey of thousands of diehard sports fans. The Pittsburgh Steelers, No. 1 in last year's poll, fell to No. 3." The Secret Behind Tina Fey's Facial Scar Revealed! The Secret Behind Tina Fey's Facial Scar Revealed! : "Tina Fey's husband is talking about something the '30 Rock' actress would rather not discuss: the scar on her left cheek. In an interview in Vanity Fair magazine, Jeff Richmond says a stranger slashed Fey's face when she was 5 years old. He says the incident occurred in the front yard of her house." Researchers have discovered that women - unlike many men - instinctively prefer a monogamous relationship, mainly because they need help bringing up any resultant children. But if they do stray it's more likely to be when they enter their 30s as their biological clock starts ticking. Expert: Small Ark. earthquakes could be warning: "A series of small earthquakes that rattled central Arkansas in recent weeks could be a sign of something much bigger to come. By this weekend, seismologists hope to install three measurement devices to gather data about future temblors in the area. That information could show whether the rumbles come from heat-related geological changes or from an undiscovered fault — which could mean a risk of substantial earthquakes in the future. 'The potential for generating a high-magnitude earthquake is real,' said Haydar Al-Shukri, director of the Arkansas Earthquake Center at the University of Arkansas at Little Rock. Five earthquakes ranging in magnitude from 2.2 to 2.7 have hit central Arkansas this month. Quakes with a magnitude of 2.5 to 3 are typically the smallest felt by people." Study: HIV Could Be Eliminated In A Decade: "The virus that causes AIDS could theoretically be eliminated in a decade if all people living in countries with high infection rates are regularly tested and treated, according to a new mathematical model. It is an intriguing solution to end the AIDS epidemic. But it is based on assumptions rather than data, and is riddled with logistical problems. The research was published online Tuesday in the medical journal, The Lancet." Top 10 Conversation Hacks: "A whole lot more than just words passes between people who are talking, so a few simple conversational skills can help you recognize what's really being said and help you lead the discussion your way. Learn how to read body language and facial expressions, de-code euphemisms, ask sensitive questions, criticize constructively, get what you want in negotiations, cut off chatterboxes, and more with our top 10 conversation hacks." Why left-handed men earn five per cent more every HOUR than right-handers: "Left-handed boys underperform at school but enjoy greater financial success in later life than right-handers, studies suggest. They appear to adapt well to life in a right-handed world and end up earning around 5 per cent more per hour. Researchers from Bristol University and Imperial College London tracked 12,000 children from birth to 14 and found that left-handers were behind when they started school and in tests at 11 and 14."